Take Wickham Rd east to Murrell Rd. Turn left and take Murrell Rd north for approx. 3 1/2 miles to the golf course on your left. Go to I95. Take I95 north to exit 191 (Wickham Rd) in Viera. Take Wickham Rd east to Murrell Rd. Turn left and take Murrell Rd north for approx. 3 1/2 miles to the golf course on your left. Very nice course, would come back and play for sure. Course was in good condition - friendly service. No waiting. We always enjoy playing this course. Easy to find and a great staff on the course and in the club house. Enjoyed meeting the owner of the rest. and bar. Will always include this course when in the Melbourne area. Viera East is a typical, flat Florida course, but it is very well maintained. Water and bunkers make for challenging shots. Lots of wildlife around. We played at 7:30 am on a Sunday morning in three hours. We came back for a replay at 1:30 pm and it took five hours. The locals are slow. Course was very accomodating to my needs, as disabled veteran. Course was in great shape. Scheduling the tee time and paying was very easy. A truly lovely and challenging golf course with true greens, well cared for and generous fairways. We look forward to returning. Very professional staff and operations. Course in good condition. Greens were fairly fast. Great layout and a tough track. Was in great shape when we played. Putting it on our permanent list! very nice place. Course in great condition. This was the best course we played on the space coastì. Fairways were in very good condition and the greens werewonderful with some very intresting holes. Course in good shape. Will return. Good golf course well maintained. Wonderful golf course - great practice facilities. Excellent condition. Open enough to make it deceivingly easy - but it is not! Will go back there again. Course has a great layout. Condition was very good. This was our first time playing this course. We really enjoyed playing it although the wind made it more difficult than it would normally have been. Very nice course. Perfect organization and very wellmaintained. Very nice course. we enjoyed it very much. Very nice - accomadative staff - nice selection of holes with different challenges. Most of the gals made a point of telling me how much they enjoyed this course and how pretty it was. If you have played Viera East Golf Club - SCGA Course, we would like to hear from you. ENJOY A LUXURIOUS GETAWAY DESTINATION. Your golf getaway will not be complete unless you play the course rated "The Best" by Brevard County residents. 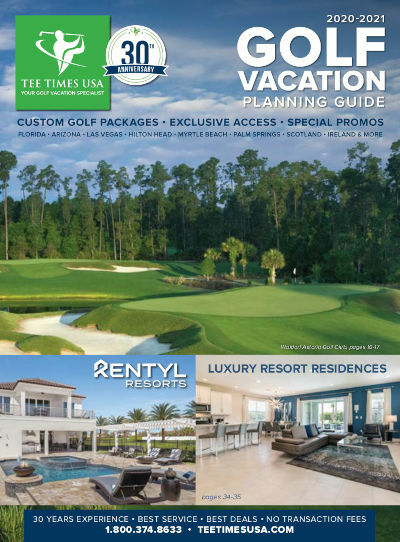 Designed by world renowned golf course architect Joe Lee, this multi-award winning, premier public golf facility offers views of native marshlands and pristine lakes throughout the beautiful 18-hole championship layout. Viera East Golf Club features a fully stocked golf shop and Divot's Grill, which serves a full breakfast and lunch menu daily. Viera East Golf Club is conveniently located only 45 minutes from Orlando International Airport and 15 minutes from Melbourne and Cocoa Beaches. Offering six sets of tees, immaculate conditioning and outstanding customer service, this Viera East golf course is a coastal gem that will guarantee a memorable experience.